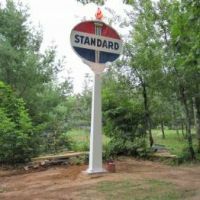 Wanted TEXACO related items & SUNOCO related items .Signs -Globes et'c. Oil Cans - Grease cans . Last edited by elsinore6; Tue Aug 23 2016 04:13 AM.